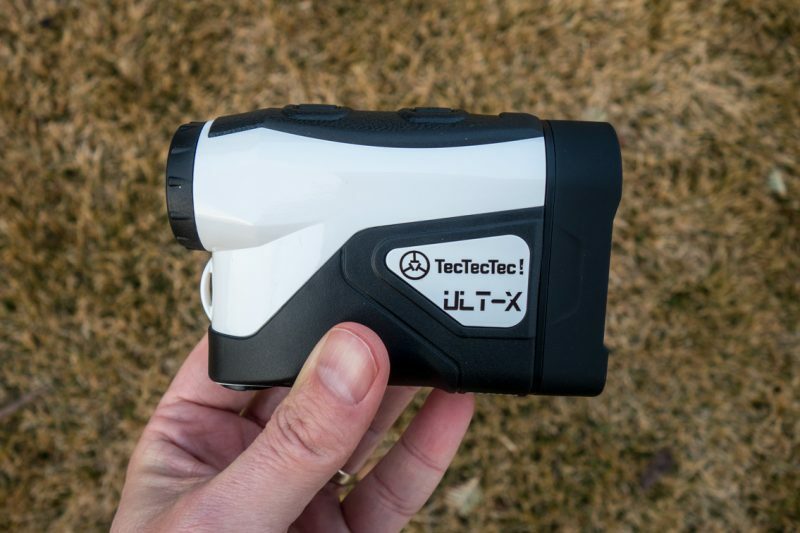 In for review here at Hooked on Golf Blog is the latest and greatest golf laser rangefinder, the TecTecTec ULT-X. I’m excited to throw this unit in the bag and start testing. The ULT-X boasts a 1000 yard range, with accuracy at that distance +/- one yard. Let’s face it, when I play 1000 yard holes I need an exact distance to the pin from the tee. With driver technology delivering more and more distance every year, I’m now hitting it 1000 yards. Seriously though, the unit is even more accurate in the 300 yard range, at +/- .3 yards. Along with the long range and high accuracy, the ULT-X features flag-seeking, vibration (when the unit locks onto the pin), slope (not legal! ), small size, and a crisp internal display. The slope feature is enabled simply by pulling and sliding the face plate out about a third of an inch. A yellow stripe shows that the unit is in slope mode. In non-slope mode there is no yellow, just black. 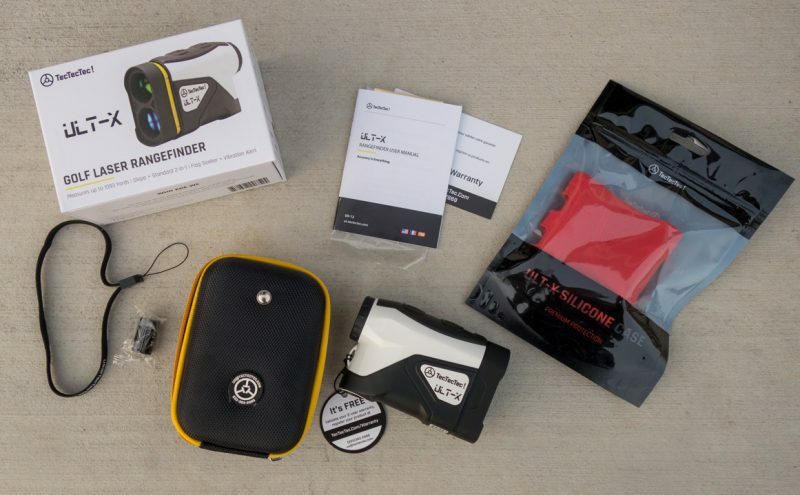 Stay tuned for the HOG review of this $249 retail golf laser rangefinder.